The Central Highlands Health Justice Partnership is delivering an integrated health justice service to improve the legal, health and wellbeing outcomes for disadvantaged young people. Facilitating early intervention and raising awareness of the impact of legal problems on the health and wellbeing for the region’s youth is a key objective of the program. 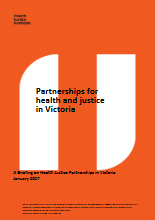 The Central Highlands Health Justice Partnership commenced in February 2015, led by CeRDI in collaboration with Ballarat Community Health and Central Highlands Community Legal Centre, and funded by a major grant from the Victorian Legal Services Board. 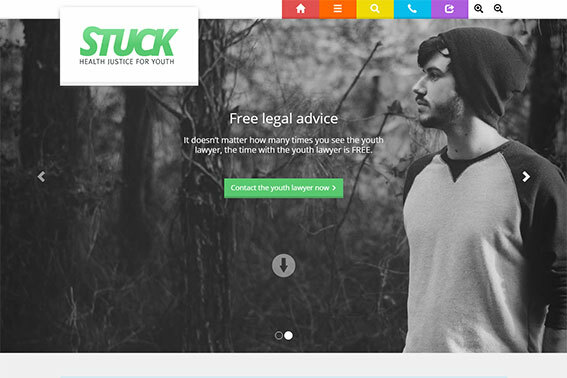 In 2018 the partner agencies expanded to include Youthlaw. Partner agencies have made a commitment to jointly fund the program so that an expanded service can operate in 2018. In Victoria - especially in rural and regional areas - there is a high incidence of young people with mental health, drug and alcohol issues experiencing multiple legal problems. The Central Highlands Health Justice Partnership has been established through an alliance between local health agencies and legal organisations to integrate vital legal services within healthcare programs for at-risk youth. The Central Highlands Health Justice Partnership provides early intervention by delivering an integrated medical and legal service, with a lawyer from Central Highlands Community Legal Service based at Ballarat Community Health. Facilitating early intervention and raising awareness of the impact of legal issues on health and wellbeing for the region’s youth is a key objective of the program. Dr Margaret Camilleri, lead researcher for the program, commented, ‘Many young people experience a range of legal problems across civil, criminal and family law areas. These are frequently ignored and have short and long term impacts on mental health and wellbeing. 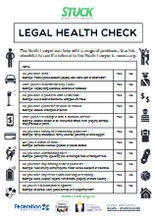 The Health Justice Partnership is designed to increase awareness and promote early intervention of the available legal assistance for local young people within the community health setting’. Ballarat Community Health is a convenient, trusted, and safe environment. Co-locating legal services at this location was recognised for its potential to facilitate the early identification and management of legal problems for young people. It was important that the knowledge and skills of agency staff was enhanced to assist them in understanding and responding to these issues. Program data and research to date provides insights about service usage and its uptake. Since its commencement, over 130 young people aged 15-25 years have received services through the program; many have attended the service with at least one legal problem – and in some instances, with two or three problems. The legal problems that young people have attended the service with have been wide ranging and include criminal, civil and family matters. Survey data about the program from the young people themselves indicates that for many, their legal problem was impacting on other aspects of their life. Internal and external agency referrals to the service have been very strong, indicating a breadth of awareness and understanding of the project. Agencies have also shared positive insights observed in the young people that they have referred to the service. The first stage evaluation report for the Central Highlands Health Justice Partnership was finalised in 2018. The integrated service model used to deliver the Central Highlands Health Justice Partnership is an innovative approach to service provision. The model goes beyond usual outreach or co-location models by embedding a lawyer within an existing team. 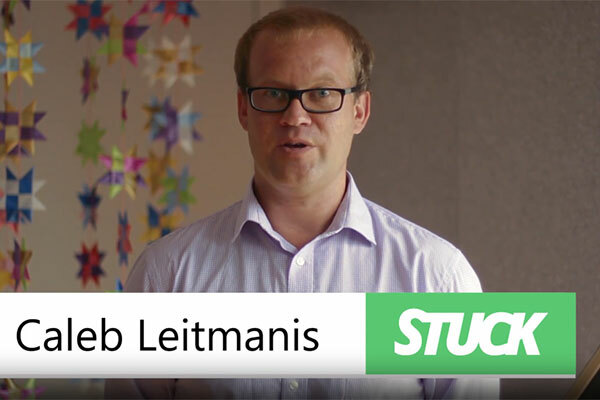 This approach facilitates early intervention and provides a unique opportunity for workers form very different professional groups to work collaboratively together in order to improve the lives of young people. 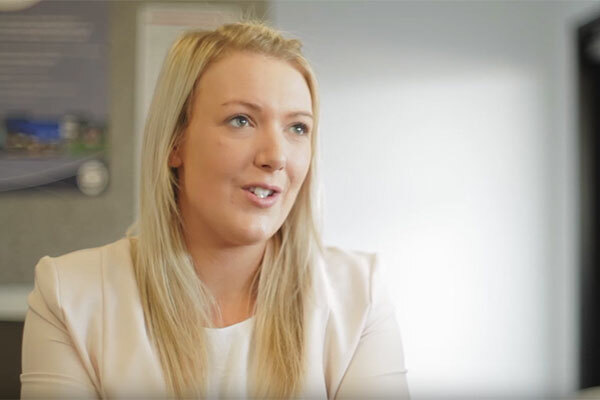 The Central Highlands Health Justice Partnership is an integrated service, which means that a Youth Lawyer is embedded within the Youth Team at Ballarat Community Health. The result is a flexible and timely service for young people, including at times outreach to the young person’s home. Embedding the Youth Lawyer within the Youth Team has also resulted in secondary consultations between the Youth Lawyer and staff at Ballarat Community Health. This approach developed the capacity of Ballarat Community Health staff not only in responding to their immediate clients but also to other clients in the future. Partners remain committed to the continuation of the Central Highlands Health Justice Partnership. Partners are seeking additional funds in order to enable this much needed service to continue. Camilleri, M., Ollerenshaw, A., Corbett, J., Taylor, M. and Burrows, T. (2018). 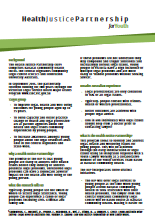 Central Highlands Health Justice Partnership: Evaluation report. Mount Helen, Australia: Centre for eResearch and Digital Innovation, Federation University Australia.